Anna Seghers was a writer with a strong sense of social justice, whose work spanned and to a great extent chronicled the major part of the twentieth century. She was born in 1900 in Mainz, Germany on the River Rhein, to middle class Jewish parents who named their only child Netty Reiling. Often sick as a child, Netty took solace in books, often comprising myth, legend and fairy tale. She was regularly taken on trips to the Baltic Coast, engendering in her a lifelong love for water and the sea. Netty Reiling was one of the first cohorts of women to enter German higher education, studying art history and sinology at the University of Heidelberg. She wrote her thesis on Jews and Jewishness in the work of Rembrandt. An appreciation of his striking use of light in portraiture informs the harsh yet poetic quality of her writing. During this time Netty came into contact with left-wing intellectuals, among them her future husband, the Hungarian economist László Radványi. After completing her studies in 1924, Netty Reiling adopted the pen name of Anna Seghers, and in 1928 her first major success came with publication of The Revolt of the Fishermen of St. Barbara, about a failed attempt by Breton fishermen to break a monopoly. This same year Seghers joined the German Communist Party and confirmed her lifelong commitment to socialist-communist ideas, imbued with deeply humanist ideals. Along with the likes of Egon Erwin Kisch and Johannes R. Becher, Seghers belonged to a generation of writers in the Weimar Republic who turned their back on a privileged upbringing and, inspired by events in 1917 Russia, formed the Association of Proletarian-Revolutionary Writers, with a mandate to change the reader through their writing. On the triple count of being Jewish, a Communist and a revolutionary writer, Seghers was blacklisted in Nazi Germany and forced into exile, along with her husband and two small children. She was first in France, from 1933 until 1941, and then Mexico until 1947. She wrote prolifically during this time and engaged in anti-fascist activity alongside many other writers and intellectuals including Bertolt Brecht and Walter Benjamin. She was briefly in Spain during the Spanish Civil War in 1937. While in France Seghers gathered much material in the form of interview with Nazi concentration camp survivors and escapees, providing material for two of her most famous and enduring novels, The Seventh Cross (1942) and Transit (1944). Along with another famous novella from this period, The Dead Girls’ Outing (1943/4), these three texts stand as testament to Anna Seghers as a defiantly antifascist and highly modernist writer. When Seghers returned to Germany in 1947 she was an international bestselling author—in 1944 The Seventh Cross had been made into a Hollywood film directed by Fred Zinnemann and starring Spencer Tracy—and was awarded the prestigious Büchner prize for services to German literature. Her ultimate decision to commit to life in the emerging German Democratic Republic came from the genuine fear, felt by many in postwar Europe, of a resurgence of fascism, a threat they believed would come from the West. Seghers chose to follow her socialist ideals and commit to the new socialist state. Here she became a lauded lady of letters, a literary celebrity used by the GDR government to promote their state. She fulfilled an important role as chair of the GDR Writers’ Union, an office she kept from 1952 to 1978. 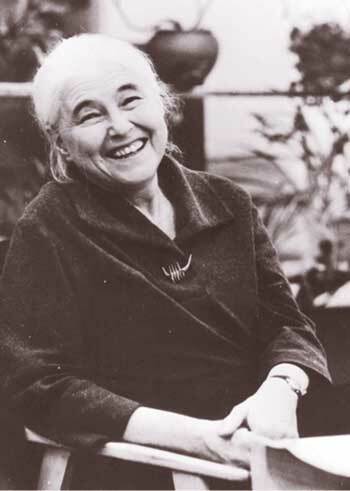 At the same time she was heavily involved with the international peace movement as the GDR’s representative on the World Peace Council, and was a notable signatory of the 1950 Stockholm Appeal for worldwide eradication of nuclear weapons, along with many other writers including friends Pablo Neruda and Jorge Amado. Seghers’s writing from the second half of her literary career suffered due to her association with a communist state, and to this day remains largely overlooked in favor of her more famous earlier work. Despite this, her GDR writing period contains many fine examples of the novella and short story form, and highlights her internationalist, antifascist, pacifist stance and her profound concern for the individual, often marginalized, and their need to find a meaningful place in society. Much of this writing focuses on female protagonists and often has a Latin American or Caribbean setting. In public Seghers was reluctant to criticize her regime; however, the attentive reader will find subtle, constructive criticism in her GDR writing as she sought, along with many others, to “work from within” to create a platform for openness and debate. She was also a highly influential figure for the second generation of GDR writers, perhaps most notably Christa Wolf and Heiner Müller. Despite recurring health problems and an underlying sorrow at the failure of the GDR state to realize the utopian socialist dream, Seghers maintained the revolutionary ideals that were planted in her in the Weimar Republic. The final book she published in her lifetime is a small text containing three short stories about fictional Haitian women in three separate eras of Haitian history. Three Women from Haiti (1980) can be regarded as Seghers’s testament as a writer and marks the end of the revolutionary thread than ran throughout this deeply committed writer’s work. Marike Janzen, ‘Between the Pedagogical and the Performative: Personal Stories, Public Narratives, and Social Critique in Anna Seghers’s Überfahrt’, The German Quarterly, (2006), pp. 175-91. Crossing contains many biographical threads from Anna Seghers’s own life experience. In particular, during her lifetime she made three return Atlantic crossings: in 1941 she sailed from France to Mexico, and then back to Europe in 1947; in the 1960s she twice sailed from the German Democratic Republic (GDR) to Brazil and back. As a left-wing antifascist writer, Anna Seghers had to flee Nazi Germany in 1933 along with her husband, the Marxist economist László Radványi and their two young children, Ruth and Peter. The Jewish family found sanctuary in France, near Paris, until Nazi troops advanced on Paris in 1940. Forced deeper into exile from Hitler, the family fled over the Pyrenees to Marseilles and in 1941 found a passage aboard a cargo steamer across the Atlantic to Martinique. After months of detour and delay, including an unsuccessful attempt to enter North America, the family reached Mexico. Here Anna Seghers remained in exile until 1947 when she sailed back across the Atlantic to Sweden. She then traveled onwards to France, to where Peter and Ruth had been sent in 1945 and 1946. She continued to Germany without her children and husband, as László Radványi had stayed in Mexico to teach at university there. He would return in 1952. After 14 years in exile, Anna Seghers returned to a devastated and disorienting Berlin (see “The Visit” excerpt, below). She was now the internationally bestselling author of the classic work of exile literature, The Seventh Cross (1942). She eventually settled in East Berlin, in what would become the GDR. The emerging socialist nation bestowed her with honor. She was a central figure of GDR literary and cultural life, attending the 1949 Paris World Peace Congress and that of Warsaw in 1950, where she became a member of the World Peace Council. On page 80 of Crossing Ernst Triebel mentions the Stockholm Appeal, the 1950 worldwide accord for a universal ban on nuclear weapons. Anna Seghers was a signatory along with many intellectuals, scientists, artists and writers including Dmitri Shostakovich, Pablo Picasso, Pablo Neruda and Jorge Amado. The Brazilian writer Jorge Amado became a lifelong friend to Anna Seghers, and invited her to Brazil in 1961. She and her husband set off from East Berlin, via Warsaw, to Gdynia on the Baltic coast, from where they sailed to Rio. On the return leg, aboard a Polish cargo ship carrying coffee, they visited the coastal cities of Salvador da Bahia and Ilhéus, Amado’s childhood home. In 1963 Seghers visited Amado a second time. She was mainly in Salvador, where she stayed with Amado and his wife, writer Zélia Gattai. At their welcoming home Seghers wrote under the shade of a tree in the garden. She sailed back to Europe alone, László Radványi electing to fly this time. Once she was back in Berlin she said she felt “landsick” and missed the life at sea. In the GDR Seghers’s thoughts often turned to the continent that granted her asylum. Much of her GDR writing is set in Latin America and the Caribbean, including short stories and novellas such as Crisanta (1951), Caribbean Stories (1948/ 1961), Benito’s Blue (1967) and her last short book, Three Women from Haiti (1980). Crossing (1971) has a transitional setting aboard a ship. The narrative begins as the Norwid leaves Santos, and ends before it reaches Rostock. The story depicts a journey home across the ocean from south to north from west to east, perhaps reflected in the four main stars of the Southern Cross constellation. Crossing is not only testament to Seghers’s supreme skill as a storyteller, it also affords the attentive reader much insight into the life and views of this great international, onetime exiled, writer, whose work contains as a central recurring theme the search for home. We sat on our still-to-be-unpacked suitcases covered in travel labels from every country and continent imaginable, the only appealing signs of color in the bleak room. We had often sat like this in the intervening years on these same suitcases, in some foreign city or other, four or five companions-in-exile. We had just arrived in Berlin. We were home. For years we had imagined our return home. We constantly pictured our country while on the run or in uncertain asylum, on ships in the war or in bombed cities, amidst ruins and in books that others (or we ourselves) had written. Time and again the power of our imaginations had brought to life anew that which was dear to us. Now we sat silently together. One of us was telling how he had finally managed to make it home at the last moment. Our conversation subsided. But no angel went through the room. It was more an anxious silence. We saw even clearer the cracks in the walls, the windowpanes stuck with paper. Through window remains we looked onto the ruins. The ruined city merged with the evening sky, as though it still smoldered and smoked. The people we passed on the street looked vacant, sad, and forlorn; embittered by their misery; above all by the thought that they themselves had caused it. Far away we had longed for our language—it had become harsh and grating. We had put words together so that we never lost the sound of it; it had eased our homesickness—now it hurt to be home. In our memories our native land had flourished—now in reality it was bleak and drab. That is what we thought then in that dreary hotel room. (Anna Seghers, 1956; ‘The Visit’ in Über Kunstwerk und Wirklichkeit. Für den Frieden der Welt, vol. 3, ed. by Sigrid Bock (Berlin: Akademie Verlag, 1971) (164-5). …the greatest German woman writer of the twentieth century.